You wait nine years for an Hour Record attempt and then two come along in the space of a couple months, as Matthias Brandle is set to go out and try and beat Jens Voigt’s Hour Record, the UCI confirmed on Thursday. The 24-year-old IAM Cycling rider will make his attempt on the 200m track of the UCI’s World Cycling Centre velodrome in Aigle, Switzerland, exactly six weeks after Voigt set the new record of 51.115km at the Velodrome Suisse. Brandle’s team estimate that he’ll be able to ride around 52km after recent tests, and that he will make his attempt at 7pm on Thursday, October 30. UCI president Brian Cookson said he was pleased that Brandle was taking on the challenge, as well as saying that it justifies the rule change made to the Hour Record by the sport’s governing body earlier this year. “I am delighted that a young rider [Brandle] is interested in attacking the Hour Record just weeks after Jens Voigt’s stunning performance,” said Cookson. 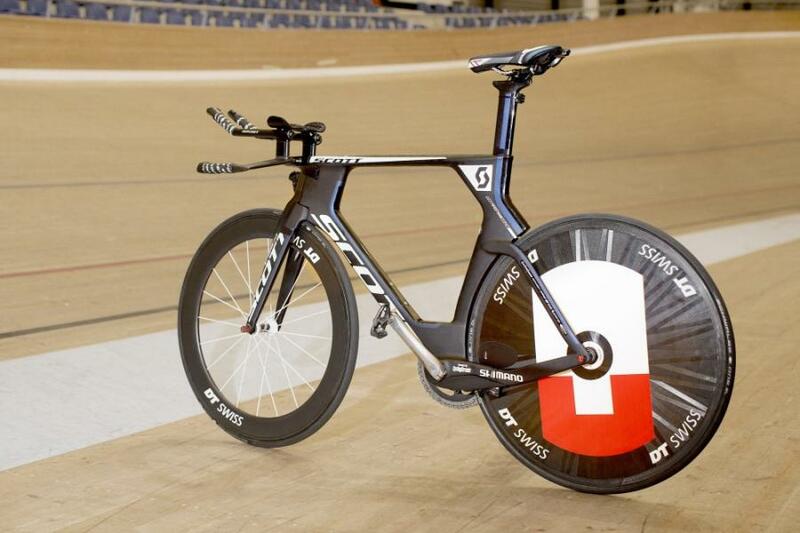 “This proves that the Hour Record has again become a dream for athletes,” he added. Time trial specialists like Bradley Wiggins, Tony Martin and Fabian Cancellara have all been tipped to have a tilt at the prestigious record, but as of yet none of them have set a firm date on when they might make an attempt, although Wiggins indicated he may try it in June 2015.